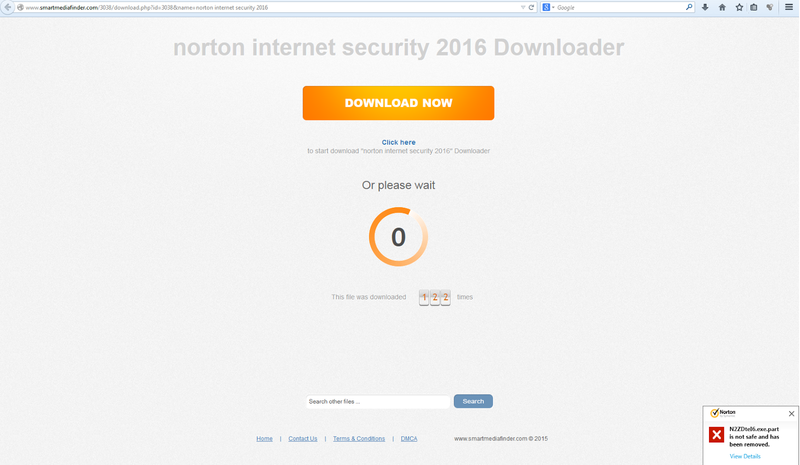 The new version of Norton 2016 still not here, but there are new posts on shady websites, which offer a chance to download the new Norton Internet Security 2016. The fake Norton Internet Security 2016 has over 9 thousand downloads, and the exact number of victims is not known. The link takes users to download unwanted software, when the site promises exclusive access to Norton Internet Security 2016 file. Even if you regret, and you no longer wish to download the file, it's still hard to cancel the download process. So far, no one gets to download Norton Internet Security 2016, which is still in the works by symantec. 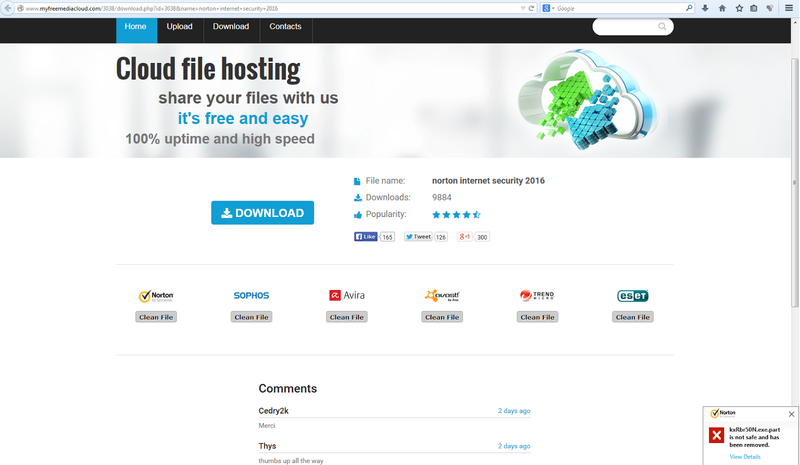 A similar website takes users to download malware under “Norton Internet Security 2016”. We recommend that you keep your security software up to date, and download your product only from the manufacturer's official links. NOTE: Norton Internet Security discontinued and replaced by Norton Security.